In reply to “My John Deere Gator: Like A Boss” « Hercules and the umpire. Today, at Simple Justice, I see that SHG celebrates his John Deere Trail Gator. 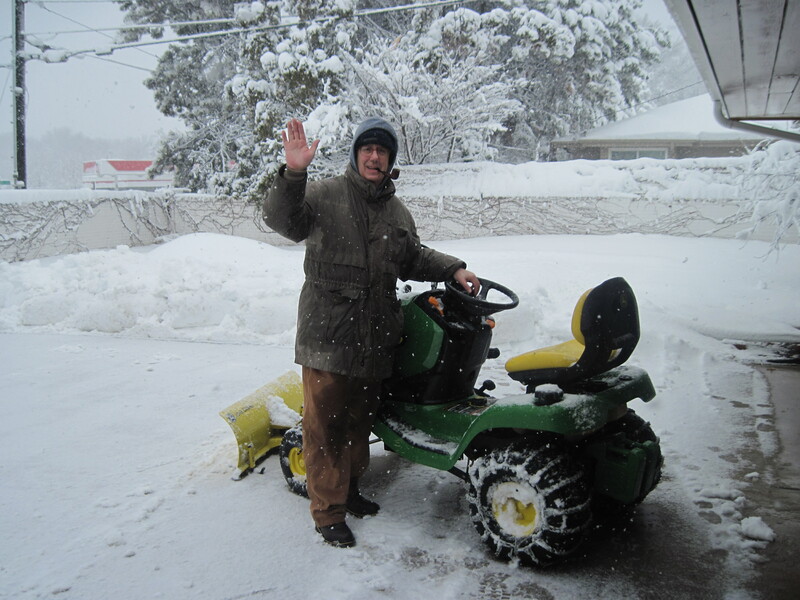 With a 12 inch plow, it is great for pushing snow and all sorts of other manly tasks. I love my Deere tractor too. However, since I am not a fabulously rich criminal defense lawyer I cannot afford a Gator. The Gator is the pièce de résistance of the John Deere line of toys for boys. That’s an adorable little tractor. I think I’ll get one for my wife for her birthday so she can use it to putter around the garden. The main thing I notice is all of that strange white stuff on the ground. We don’t have much of that here, I guess because last Wednesday it was 80 degrees outside. Sort of t-shirt and khaki shorts weather. But I’m glad that those plow thingees work for y’all. I am inclined to wish upon you a slow death by freezing. But that would too kind. I think heatstroke might be more appropriate. The pipe gives you a Midwestern Hugh Hefner look…very appealing. We had a lady from Iowa or Kansas or somewhere up there around y’all down here one summer, complaining about the heat… We sort of looked at each other and laughed, and then told her that it ain’t hot until it breaks 110, that 103 was downright chilly…. Hugh Hefner is my hero. No greater compliment . . . .